We help change lives every day. Through research, evaluation and partnerships with community experts we are able to identify the biggest social problems facing our community and help find solutions – solutions that get to the root of the problem. The Ottawa Business Growth Survey finds that business confidence remains high; sectors most likely to recruit are IT and construction. What is the market outlook over the next year? Do businesses plan to increase recruitment over the coming year? What are the top issues facing Ottawa businesses? What are the workplace trends? What is the biggest issue facing Ottawa businesses? 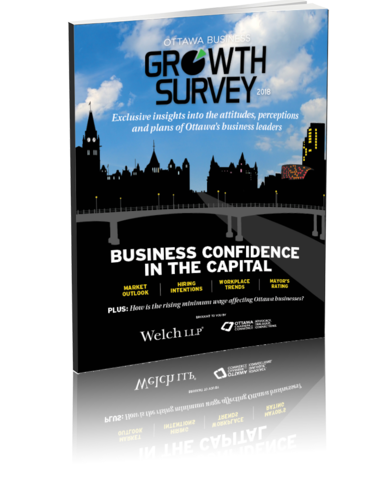 The Ottawa Growth Study is sponsored by Welch LLP and the Ottawa Chamber of Commerce, the latter is an EARN Champion Stakeholder member.